Not all families feel the same level of comfort talking and communicating with schools. Most can easily and willingly share their children’s strengths, needs, successes, struggles, interests, hopes, and dreams. Many struggle with how to ask questions, what to ask, and how often to ask. Some are uncertain how often to contact the school and when. Yet others wonder how to be active and engaged, without overdoing it. The reality is that children, youth, and families learn what they live: If they hear and see effective and productive communication, they will strive to communicate confidently, become empowered on the landscape of school, and develop self-advocacy skills that will serve them for a lifetime. Such skills are particularly important as youth transition from secondary to post-secondary. The good news is that the lines of communication are open, and my son talks about what’s happening at school… The bad news is that he arrived home today quite distressed. He indicated that he had been in the green zone all day, but ended the day in red due to a poor decision made in the bus line. We spent the evening discussing that one red decision does not a bad day make. I’m hoping that you can follow up with him, and perhaps alter your system so that we don’t have similar evenings in the future. While some families instinctively know how to communicate or have someone to rely on for advice, others have nowhere to turn for support to determine just how to communicate with the school in mutually supportive ways. How do you support families who are less comfortable and confident communicating with school? What role might other families and school community councils play in supporting effective and empowering communication strategies? School community councils, in consultation with families, may produce a tip sheet, and/or schedule a school community workshop for families interested in exploring strategies that facilitate effective and meaningful communication. As well, they may establish family-to-family networks, particularly for new families arriving at the school. Introduce yourself early. Attend the school community gatherings at the beginning of the year. Ask your child to take you on a tour and introduce school community members. Send in a note to introduce yourself and your child – highlight strengths, needs, interests, and ways to support that maximize achievement and wellbeing. Work with the school. Send the school the very best child that you can everyday. Work productively and positively for your child’s academic and social-emotional well-being. Develop a plan that facilitates communication. 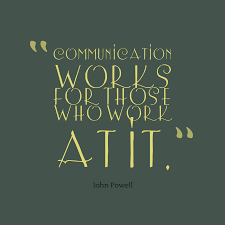 Ask teachers to communicate in the way that works best for you, regardless of whether the communication is ongoing/daily or intermittent. 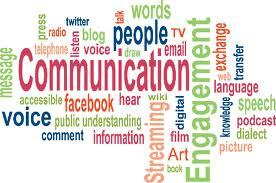 Many schools are experimenting with new forms of communication such as email, twitter, websites, and blogs. Involve your child in the communication strategy. Ask often: What went well today? What do you need to work harder at? What’s coming up? As students, particularly youth, gain autonomy, communication should be shared between student, family, and school. Keep the focus on your child. When discussing progress, growth, achievement, behavior, keep the focus on your child. Talk about what your child did, how they did, why they might have done it, what they thought; avoid drawing comparisons to other students. Check in early. Don’t wait until Report Cards or Parent-Teacher Interviews to check in, particularly if you have concerns. You know your child best, and it is in your child’s best interests for the school to know their strengths, needs, interests, and what is needed to support achievement and wellbeing. Don’t be afraid to share concerns. Sometimes things come up that are important for the school to know; it may be social, emotional, physical, or academic. Schools see what happens at school, but at times, the real story comes out at home. 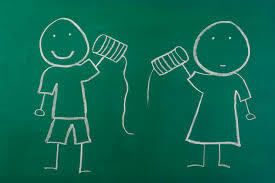 Err on the side of communication, and work with the school to resolve any concerns. Don’t rush in. Give the school time at the end of the day to make contact and communicate. There are times when your child may get off the bus and tell you, “I’m sure you’ve already heard what happened at school today.” Listen to your child, try to understand the situation, and formulate questions and concerns you might have. Don’t overreact, jump to conclusions, or make judgments. There is always more than one side to the story. Raising concerns tactfully and respectfully goes much farther than criticism or blame. Always keep the focus on your child by offering your child’s interpretation and asking if you can talk openly about it. Ask questions. There is no such thing as a bad question, and chances are if you have that question, many others do as well. Ask questions that will confirm or clarify your understanding of the expectations, ways to support, etc. Follow up when necessary. Keep in touch. The school does not know how things are going if you don’t follow up. Talk with your child; find out their ongoing successes and challenges. Let the school know when things are going well and what is working. Let them know when things are not going well and what is not working. If it’s time sensitive or urgent, phone. Schools are always reachable. Do not rely on email communication during the school day; a personal note to the teacher or a phone call to the office will ensure that the information gets to the right person in a timely manner. Schedule a meeting. There are some occasions where a note, email, or phone call will not be in the best interests of your child. Set up a face-to-face conversation in order to explore solutions and strategies that will support your child’s academic, physical, and emotional wellbeing. Adopt a 24-hour rule. Give school communities at least 24 hours to respond unless it is an urgent request, particularly if communicating by email. You should try to respond to the school’s email within 24 hours as well.